LCC’s ABC District and various people involved in the CEF/DIL debacle will be required to explain themselves to the government this coming May 2019 – nearly 9 months from today. A hearing will take place in May 2019 for a religious institution accused of lying to investors. “Lying” is a pretty strong term and not one used lightly by the media for liability reasons. The Lutheran Church of Canada in Alberta and B.C. is under investigation. The Lutheran Church of Canada held a long-running investment program in Alberta and B.C for more than a century but that program collapsed in 2015. It’s alleged more than $130 million had been invested when the organizations were placed under federal bankruptcy. Some investors lost their life savings. The money had been placed in the fund to help build churches, schools, and retirement communities. It’s alleged the church knew about its financial problems and that this money was not properly accounted for. 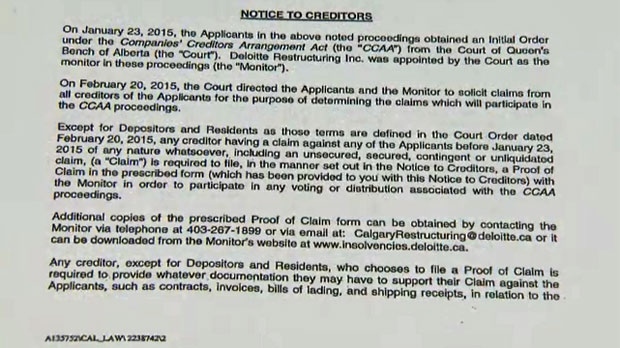 It also says the church withheld details about persistent loan defaults and other cash-flow problems. The Securities Commission is not looking for repayment of damages and will not seek monetary administrative penalties against people from those accused of misleading investors. If the accused have done something wrong, the Commission says it wants to leave as much money as possible for the people affected. The Commission is doing this in recognition of the millions of dollars lost and don’t want to deplete any remaining assets that might be available for ongoing court proceedings.